Training a generic objectness measure to produce object proposals has recently become of significant interest. We observe that generic objects with well-defined closed boundaries can be detected by looking at the norm of gradients, with a suitable resizing of their corresponding image windows to a small fixed size. Based on this observation and computational reasons, we propose to resize the window to 8 × 8 and use the norm of the gradients as a simple 64D feature to describe it, for explicitly training a generic objectness measure. We further show how the binarized version of this feature, namely binarized normed gradients (BING), can be used for efficient objectness estimation, which requires only a few atomic operations (e.g., add, bitwise shift, etc.). To improve localization quality of the proposals while maintaining efficiency, we propose a novel fast segmentation method and demonstrate its effectiveness for improving BING’s localization performance, when used in multi-thresholding straddling expansion (MTSE) post-processing. 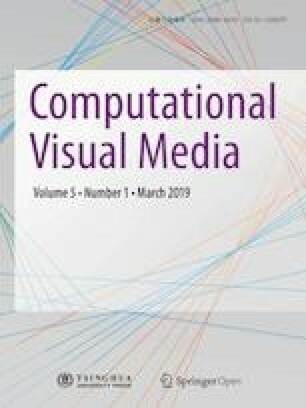 On the challenging PASCAL VOC2007 dataset, using 1000 proposals per image and intersection-over-union threshold of 0.5, our proposal method achieves a 95.6% object detection rate and 78.6% mean average best overlap in less than 0.005 second per image. Ming-Ming Cheng received his Ph.D. degree from Tsinghua University in 2012. Then he worked for 2 years as a research fellow with Prof. Philip Torr in Oxford. He is now an associate professor at Nankai University, leading the Media Computing Lab. His research interests include computer graphics, computer vision, and image processing. Yun Liu is a Ph.D. candidate with the College of Computer Science, Nankai University, under the supervision of Prof. Ming-Ming Cheng. His major research interests are computer vision and machine learning. Wen-Yan Lin received his Ph.D. degree from the National University of Singapore in 2012, supervised by Prof. Loong-Fah Cheong and Dr. Dong Guo. He subsequently worked for the Institute of Infocomm Research Singapore and Prof. Philip Torr. He is currently a post-doc at the Advanced Digital Sciences Center, Singapore. Ziming Zhang is a research scientist at Mitsubishi Electric Research Laboratories (MERL). Before joining MERL he was a research assistant professor at Boston University. He received his Ph.D. degree in 2013 from Oxford Brookes University, UK, under the supervision of Prof. Philip Torr. Paul L. Rosin is a professor at the School of Computer Science & Informatics, Cardiff University, Wales. His research interests include the representation, segmentation, and grouping of curves, knowledge-based vision systems, early image representations, low-level image processing, machine vision approaches to remote sensing, methods for evaluation of approximation algorithms, medical and biological image analysis, mesh processing, non-photorealistic rendering, and the analysis of shape in art and architecture. Philip H. S. Torr received his Ph.D. degree from Oxford University. After working for another three years at Oxford, he worked for six years as a research scientist for Microsoft Research, first in Redmond, then in Cambridge, founding the vision side of the Machine Learning and Perception Group. He is now a professor at Oxford University. He has won awards from several top vision conferences, including ICCV, CVPR, ECCV, NIPS, and BMVC. He is a Royal Society Wolfson Research Merit Award holder. This research was supported by the National Natural Science Foundation of China (Nos. 61572264, 61620106008).